It’s amazing how your eyebrows can change your look. Even if you have no time to put on a full face of makeup, simply spending a moment on your brows can make you look put together in an instant. Sometimes it may get tiring or dull, but dedicating some time and love to your eyebrows can make a huge difference in the long run. Shavata are a brand who dedicate themselves to eyebrows. The founder, Shavata Singh is a trusted figure in the beauty industry who has 25 years of experience to boast of. The Shavata brand is a fast growing one who has studios in Harrods, Harvey Nichols, Debenhams and House of Fraser nationwide. Each Shavata product is made to high quality to enable you to groom your brows at home for the perfect eyebrows every time. 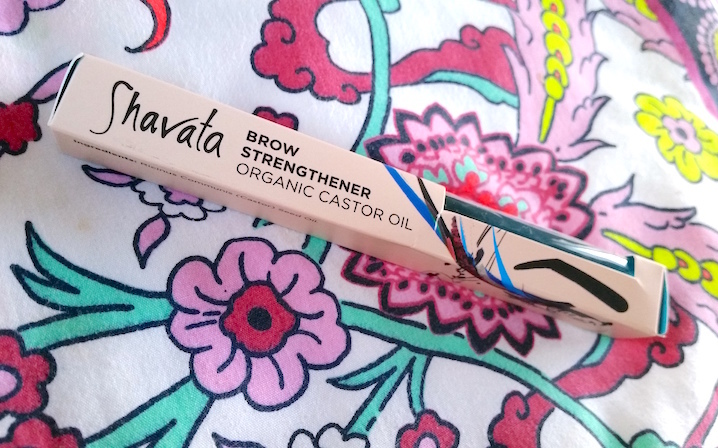 The Shavata Brow Strengthener is one of these products targeted at those who are after thicker brows over sparse ones. It is said to stimulate hair growth, making it perfect for over-plucked eyebrows. In addition, it also takes care of the hairs from the root, letting them grow in thicker and conditioned. It claims to provide results within three weeks. It only contains one ingredient, and that is castor oil. 100% natural and organic, cold pressed castor oil that contains omega 9 fatty acids that are known to be highly nourishing on the hairs and the follicles. Cold-pressed castor oil is said to be the highest quality oil as the first pressing releases the highest quantity of the castor beans' essential fatty acids, nutrients and minerals. When the castor oil is applied to the skin, it absorbs easily into the skin and down to the root of the hairs to condition them. It comes packaged in a transparent tube with a rollerball applicator that acts as a massager, enabling the oil to absorb quickly into the skin. To use, simply roll the rollerball applicator over the eyebrows, massaging gently from base to tip. It can also be used on the eyelashes. It is best to use overnight, every night, but twice a day will yield better results. As I wanted to thicken out my eyebrows a bit, I tidied the areas that needed to be done, and left the short hairs alone to grow out. I then began applying the Brow Strengthener to my eyebrows every night, but occasionally twice a day (usually when I was makeup free). Even though the box states that you will show results in around three weeks, I did start to see differences before then. It works better on days where I am able to use it twice a day, but otherwise I notice the gradual improvements every morning upon awakening, particularly towards the end of the three weeks. It is a really simple product to use, and to be honest I rather like the rollerball massaging my eyebrows every night. That probably sounds odd, but there we go. I’ve been using the Brow Strengthener for just under a month and the areas that I wanted to thicken out have definitely grown in and my eyebrows are now thicker and smoother. I also have some thin patches in certain areas that look more filled out now, and I find myself therefore using less eyebrow products during my makeup routine instead of spending time trying to fill in the sparse areas. This is probably the type of product that I wouldn't have bothered to try because eyebrows can easily be done up with makeup. 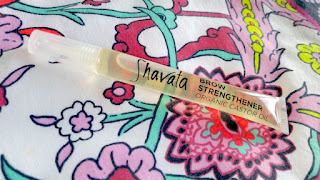 However, now that I have been using Shavata's Brow Strengthener, I don't think that I'll be going back. My eyebrows are far tamer and look great with minimal effort, and who doesn't want that!? Perfecting the base is the way to go. You can purchase the Shavata Brow Strengthener for £15/8ml from Beauty Bay or Shavata. 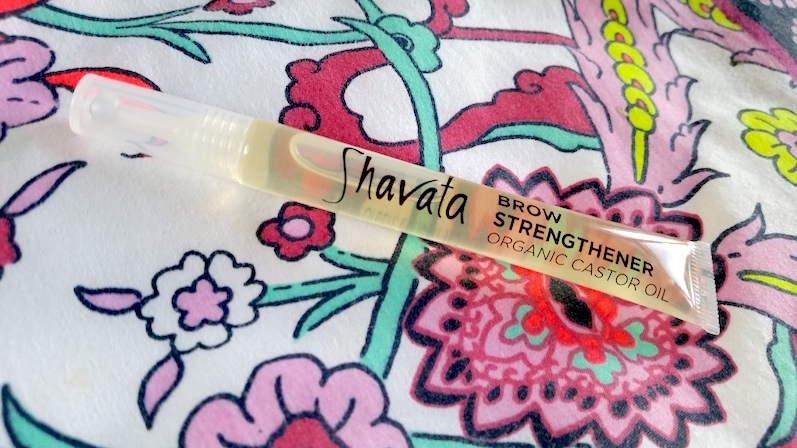 What are your thoughts on the Shavata Brow Strengthener? What are your opinions on eyebrow grooming?